kirstenkorea has no other items for sale. Surprize by Stride Rite, Darion, Toddler Boys Size 10 Sneakers Shoes Blue, New! 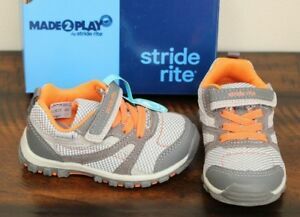 Brand New Stride Rite Made 2 Play Artin Sneakers, Boys Navy/Orange - New in Box!